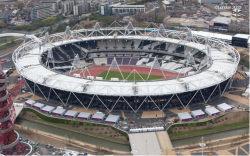 Cost effective corrosion protection of structural steelwork should present little difficulty for common applications and environments if the factors that affect durability are recognised at the outset. 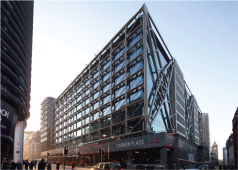 There are many steel structures that have continued in use satisfactorily for many years even in adverse conditions. The first major iron structure, the bridge in Coalbrookdale UK, has survived over 200 years whilst the Forth rail bridge over 100 years old is legendary. Today, modern durable protective coatings are available which, when used appropriately, allow extended maintenance intervals and improved performance. The key to success lies in recognising the corrosivity of the environment to which the structure will be exposed and in defining clear and appropriate coating specifications. Where steel is in a dry heated interior environment the risk of corrosion is insignificant and no protective coating is necessary. Conversely, a steel structure exposed to an aggressive environment needs to be protected with a high performance treatment and may need to be designed with maintenance in mind if extended life is required. The optimum protection treatment, which combines appropriate surface preparation, suitable coating materials, required durability and minimum cost, is achievable using modern surface treatment technology. The corrosion of structural steel is an electrochemical process that requires the simultaneous presence of moisture and oxygen. In the absence of either, corrosion does not occur. Essentially, the iron in the steel is oxidised to produce rust, which occupies approximately 6 times the volume of the original material consumed in the process. 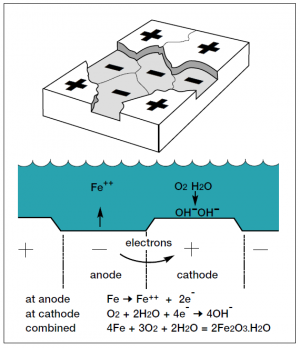 The general corrosion process is illustrated here. As well as general corrosion, there are various types of localised corrosion that can also occur; bimetallic corrosion, pitting corrosion and crevice corrosion. However, these tend not to be significant for structural steelwork. The rate at which the corrosion process progresses depends on a number of factors relating to the ‘micro-climate’ immediately surrounding the structure, principally the time of wetness and the atmospheric pollution level. Because of variations in atmospheric environments, corrosion rate data cannot be generalised. However, environments can be broadly classified, and corresponding measured steel corrosion rates provide a useful indication of likely corrosion rates. 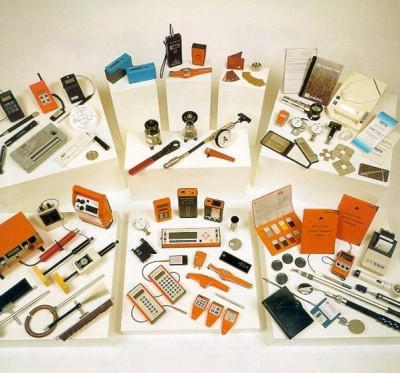 More information can be found in BS EN ISO 12944-2 and BS EN ISO 9223. 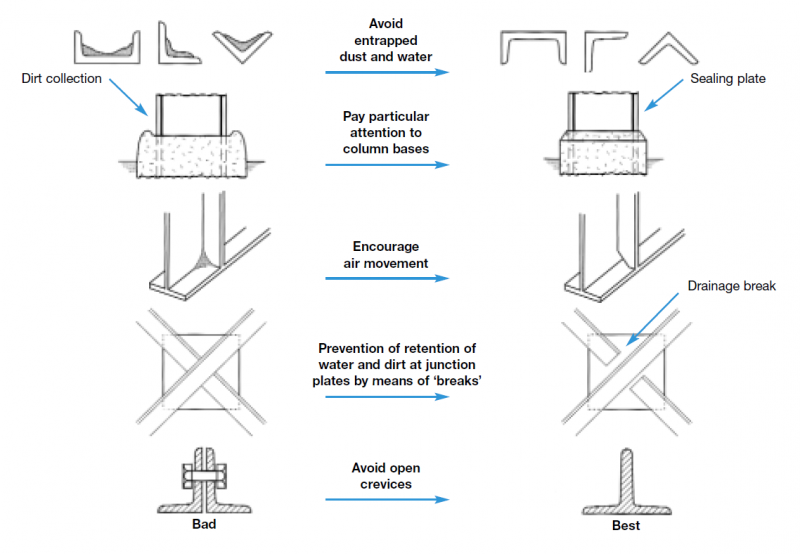 General guidance for the prevention of corrosion by good design detailing can be found in BS EN ISO 12944-3, and some typical do’s and don’ts for steel framed buildings are shown below. The surface preparation process not only cleans the steel, but also introduces a suitable surface profile and amplitude to receive the protective coating. High build paint coatings and thermally sprayed metal coatings need a coarse angular surface profile to provide a mechanical key. This is achieved by using grit abrasives. Shot abrasives are used for thin film paint coatings such as pre-fabrication primers. 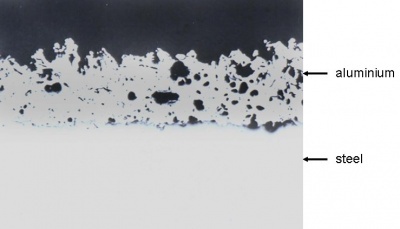 The difference between shot and grit abrasives and the corresponding surface profiles produced is illustrated below in the three-dimensional diagrams obtained from non-contact surface characterisation equipment. 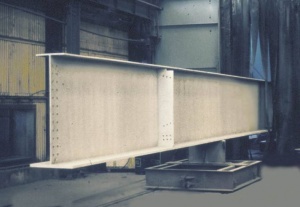 After abrasive blast cleaning, it is possible to examine for surface imperfections and surface alterations caused during fabrication processes, e.g. welding. 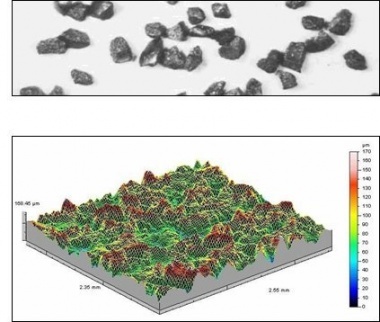 Certain surface imperfections introduced during the original processing of the steel may not be detrimental to the performance of a coating in service, particularly for structures in relatively low risk environment categories. However, depending upon the specific requirements of the structure, it may be necessary to carry out additional surface treatments to remove surface imperfections on welds and cut edges as well as soluble salts to produce an acceptable surface condition for painting. Paint coatings for steel structures have developed over the years to comply with industrial environmental legislation and in response to demands from bridge and structure owners for improved durability performance. A paint consists of a pigment, dispersed in a binder, and dissolved in a solvent. The most common methods for the classification of paints is either by their pigmentation or by their binder type. A modern paint system usually comprises a sequential coating application of paints or alternatively paints applied over metallic coatings to form a ‘duplex’ coating system. Protective paint systems usually consist of primer, intermediate/build coats and finish coats. Each coating ‘layer’ in any protective system has a specific function, and the different types are applied in a particular sequence of primer followed by intermediate/build coats in the shop, and finally the finish coat (or top coat) either in the shop or on site. 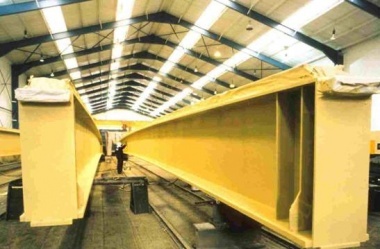 Prefabrication primers are used on structural steelwork, immediately after blast cleaning, to maintain the reactive blast cleaned surface in a rust free condition through the fabrication process until final painting can be undertaken. These types of primers are not used before the application of thermally spraying coatings. The method of application of paint systems and the conditions of application have a significant effect on the quality and durability of the coating. 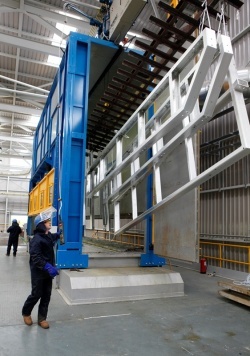 Standard methods used to apply paints to structural steelwork include application by brush, roller, conventional air spray and airless spray/electrostatic airless spray. Airless spray has become the most commonly used method of applying paint coatings to structural steelwork under controlled shop conditions. brush and roller application are more commonly used for site application, though spraying methods are also used. ‘Stripe’ coatings applied to edges and sharp corners are usually applied by brush. The principal conditions that affect the application of paint coatings are temperature, both steel and ambient and humidity. These can be more easily controlled under shop conditions than on site. With modern high performance coatings, correct application has become increasingly important to achieve the intended performance. Industry has recognised this and established a training and certification scheme for paint applicators (ICATS – Industrial Coating Applicator Training Scheme). ICATS registration (or to an equivalent scheme, e.g. Trainthepainter) has subsequently become a mandatory requirement for work on Highways England bridges and Network Rail structures. There are four commonly used methods of applying metal coating to steel surfaces. These are hot-dip galvanizing, thermal spraying, electroplating and sherardizing. The latter two processes are not used for structural steelwork but are used for fittings, fasteners and other small items. In general the corrosion protection afforded by metallic coatings is largely dependent upon the choice of coating metal and its thickness and is not greatly influenced by the method of application. Hot-dip galvanizing is a process that involves immersing the steel component to be coated in a bath of molten zinc (at about 450°C) after pickling and fluxing, and then withdrawing it. The immersed surfaces are uniformly coated with zinc alloy and zinc layers that form a metallurgical bond with the substrate. The resulting coating is durable, tough, abrasion resistant, and provides cathodic (sacrificial) protection to any small damaged areas where the steel substrate is exposed. The typical minimum average coating thickness for structural steelwork is 85μm. 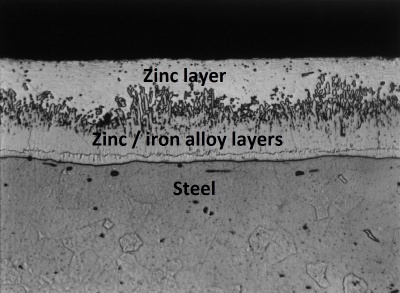 Thermally sprayed coatings of zinc, aluminium, and zinc-aluminium alloys can provide long-term corrosion protection to steel structures exposed to aggressive environments. The metal, in powder or wire form, is fed through a special spray gun containing a heat source, which can be either an oxygas flame or an electric arc. Molten globules of the metal are blown by a compressed air jet onto the previously grit blast cleaned steel surface. 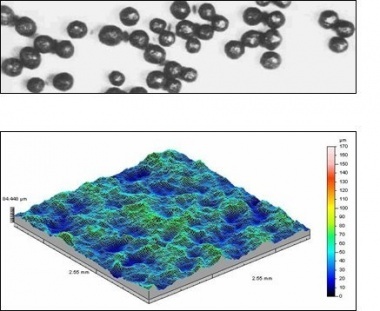 No alloying occurs and the coating consists of overlapping platelets of metal and is porous. The pores are subsequently sealed by applying a thin organic coating, which penetrates into the surface. It is essential that the sealer completely satisfies the filling of all porosity in the metal coating. The adhesion of sprayed metal coatings to steel surfaces is considered to be essentially mechanical in nature. It is therefore necessary to apply the coating to a clean roughened surface and blast cleaning with coarse grit abrasive is normally specified. Metal dressing to remove sharp edges, projections etc. and steel contamination. The method of surface preparation and the standard required. The maximum interval between surface preparation and subsequent priming or metal coating. The types of paint or metallic coatings to be used, supported by relevant standards. The method/s of application to be used. The number of coats to be applied and the interval between coats. The wet and dry film thickness for each coat. Where each coat is to be applied (i.e. shops or site) and the application conditions that are required, in terms of temperature, humidity, etc. Details for treatment of welds, and bolted connections etc. Rectification procedures for damage, etc. The majority of steel bridges are protected according to the requirements of the Highways England, and Network Rail standard specifications. 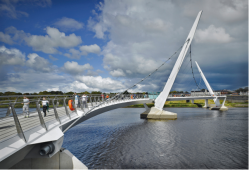 Alternative coating systems and methods may be specified for other bridges but the same standards and principles of good coating practices should similarly be applied. Inspection forms an integral part of quality control. Its purpose is to check that the requirements of the specification are being complied with and to provide a report with proper records to the client. One of the greatest assets to the coating inspector is a clear written specification that can be referred to without doubt. The appointment of an appropriately qualified third party inspector should be seen as an investment in quality and not just an additional cost. 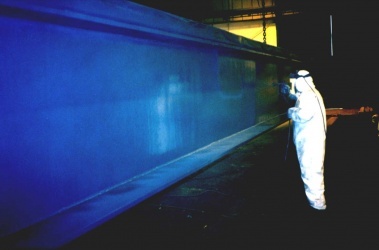 Inspection of the processes, procedures and materials required for the protective coating of steel structures is vital, since a major error in even one operation cannot be easily detected after the next operation has been carried out, and if not rectified immediately can significantly reduce the expected life to first maintenance.